Shares in Asia's biggest low-cost airline tumbled on Wednesday after police said they were investigating allegations that executives bribed Indian government officials. India's Central Bureau of Investigation (CBI) said Tuesday it had opened a case looking into whether AirAsia's Indian affiliate used illegal means to try and get favorable treatment from local regulators. Indian police conducted raids on AirAsia offices and residences belonging to company officials in Delhi, Mumbai and Bangalore, CBI spokesperson R.K. Gaur said. 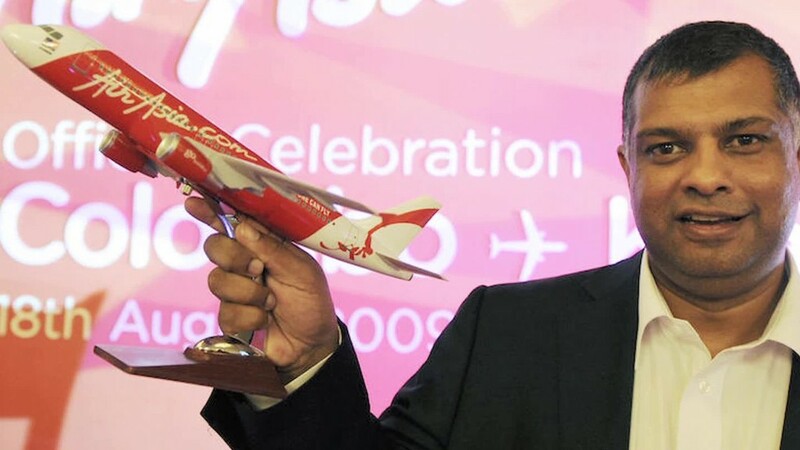 The CBI case names Tony Fernandes -- founder and CEO of the Malaysia-based carrier -- among several people accused of wrongdoing. AirAsia India denied any wrongdoing. Shuva Mandal, a director at the company, said in a statement that the company is "cooperating with all regulators and agencies to present the correct facts." Indian police allege that AirAsia India executives used middlemen to funnel bribes to Indian government officials in order to try to secure a license for the airline to operate international flights. Until recently, airlines in India were required to have a fleet of 20 aircraft and five years of service in order to fly in and out of the country, conditions which AirAsia India could not meet because it only launched in 2014 and operates 18 planes. News of the investigation buffeted AirAsia Group's stock, which fell nearly 7% in Kuala Lumpur on Wednesday. "Investors are concerned that the investigations could reduce or eliminate AirAsia India's chances to operate international flights, which is where the goldmine lies," said Corrine Png, founder of transportation research firm Crucial Perspective. The CBI case also accuses the airline's Indian franchise of breaching the country's foreign investment rules. Indian laws prevent foreign airlines from holding a controlling stake in any local airline. AirAsia Group owns 49% of its Indian affiliate, with another 49% held by Indian conglomerate Tata Sons. However, the CBI alleges that AirAsia India is effectively controlled by Fernandes, a violation of investment rules. It said that was achieved through a "brand license agreement" that turned AirAsia India into "a de-facto subsidiary rather than a joint venture." In a statement late Wednesday, AirAsia India said Indian regulators had approved its operations and management as recently as February 2017, ruling that the license agreement was meant "only for ensuring uniformity of brand and quality of services." "[AirAsia India] will be cooperating with the relevant authorities to facilitate an early conclusion of this matter," it added. AirAsia in Malaysia didn't respond to requests seeking comment from Fernandes on the allegations. -- Sugham Pokharel and Jethro Mullen contributed to this report.